Apple’s iOS operating system since version 12 have support for “Bedtime” mode which allows you to have a good sleep. This is achieved through optimising the display to reduce blue light in a sleep-friendly manner along with default automatic enablement of “Do Not Disturb” mode where the iPhone won’t ring through during the hours the Bedtime mode is in operation. This will be heralded by your iPhone ringing a phrase of Brahms’ Lullaby with a music-box sound when that mode is effective. But some of us may don’t want to miss important calls that come through at night due to work or personal reasons. An example of this could be a person who is a registered keyholder for a premises and needs to know of alarm incidents affecting that premises. Or someone you expect home may be arriving late and wants to let you know they are on their way or changed plans. In a simple case, you may not want to miss that important call from someone who is on the other side of the world. The default implementation for Bedtime mode has your iPhone in “Do Not Disturb” mode where your iPhone won’t ring or sound a notification tone for text messages while that mode is in effect. But you may want most of the sleep-friendly benefits of this mode while being able to be woken by those important calls. To enable this, you need to go to the Clock app and select the Bedtime screen. Select “Options” and turn off the “Do Not Disturb” mode on that screen to allow calls to come through. The display will still be dimmed through this time but the iPhone will ring or sound a notification tone. You may also have to check for scheduled “Do Not Disturb” times in case you used this feature to set up a “do-not-disturb” period surrounding your normal bedtime. This is a feature that an iOS user may have implemented before updating to iOS 12. You can check this feature in the “Do Not Disturb” option in the Settings app. If you do use the “Do Not Disturb” option, you can allow certain caller groups to break through and cause your phone to ring irrespective of when this option is in effect. One of these is “Favourites” which allows you to mark contacts as a “favourite”. Or you can use the Groups option to allow calls from contact groups that you have pre-defined. This is important if you mark out your contacts in to contact groups like “work” or “family” and is a complex procedure that requires you to use your Apple iCloud.com account on a Web browser. The use of a predefined caller list to override “Do Not Disturb” may not work well with callers who call you using VoIP or from behind a business phone system. This is because you may find that the caller ID for their call may be different from their phone number due to them, for example, calling from the nearest extension rather than their own extension. iOS and Android could natively follow the Symbian (original Nokia feature-phone operating system) approach where you have different situation-specific alerting presets that affect your phone’s audio / vibration / indicator-light behaviour. This can also allow the use of one or more priority call lists so that callers you select for a particular situation can ring through. Such presets can be linked to operation modes like the “Bedtime” mode or alarm clock so they can be effective during these modes. As well, Apple could simplify the process of creating and managing caller groups on the iOS contacts list while you are using your iPhone’s user interface. This is important for processes like adding new contacts to your list or revising your contacts, and can make the process more intuitive. Why is there an audio driver with your computer’s graphics chipset? Some of you may take stock of what device drivers and software exist on your Windows computer and may find two or more audio device drivers on your computer with one being referred to as an “HDMI” or “Display” audio driver. Such a driver will have a reference to the graphics chipsets that are installed in your computer. Why does this driver exist and how could I take advantage of this setup? Most computers are nowadays equipped with an on-board audio infrastructure of some sort. This was initially a sound card but is nowadays an on-board audio chipset like Realtek or Intel HD Audio. 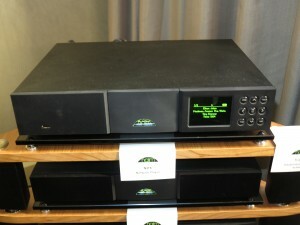 Here, it would have its own digital-analogue audio circuitry and would be serving integrated speakers or audio equipment like computer speakers that are connected to the computer’s own audio jacks. The better implementations would have an SP/DIF audio output which would serve an outboard digital-analogue converter or digital amplifier. 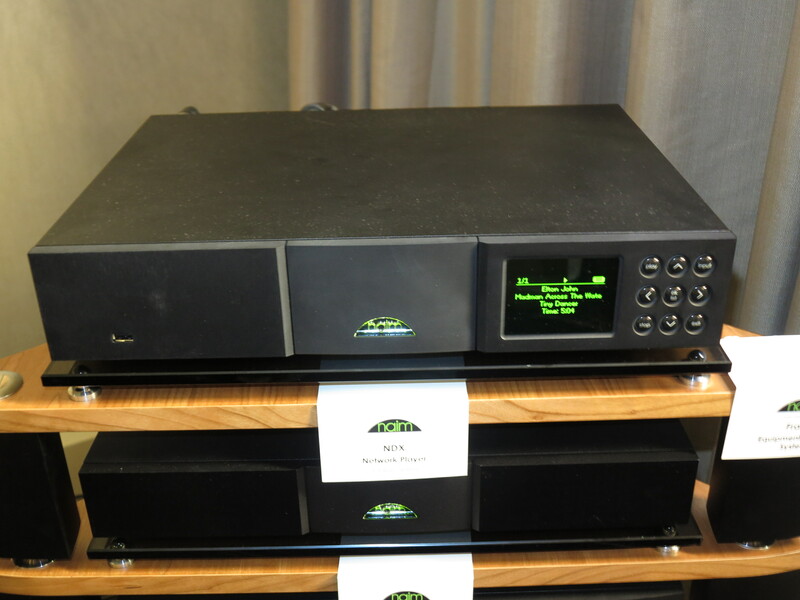 In this case, the audio infrastructure would repackage the sound in to an SP/DIF-compliant form either as a PCM stream or a bitstream supporting Dolby Digital. In this case, the above-mentioned sound infrastructure would work with its own driver software and be listed as a distinct audio device in Windows. 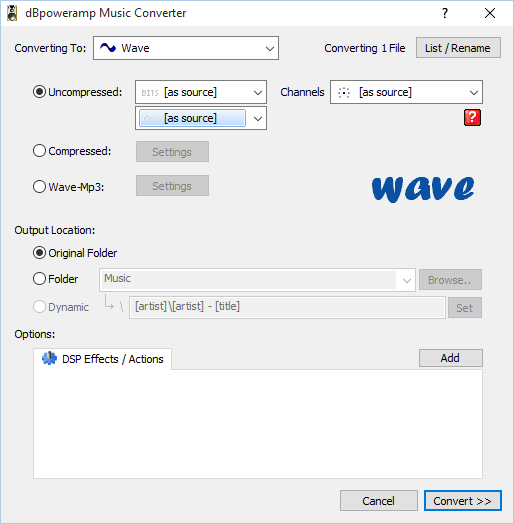 With most of the recent laptops that have sound tuning provided typically by a name-of-respect in the professional-audio or hi-fi scene, this driver also has the software component that is part of this tuning. HDMI and DisplayPort display connections have the ability to transport a digital audio stream along with the video stream over the same cable. Therefore, display-chipset and graphics card manufacturers have had to support digital-audio transport for host-computer audio through these connections. 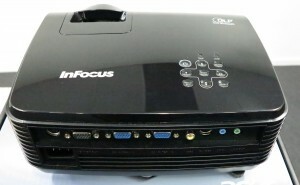 In some early setups, it required that the computer’s sound card or audio chipset expose a digital-audio stream via the HDMI or DisplayPort connection. With graphics cards, this typically required a wired connection between an SP/DIF digital output on a sound card or motherboard audio chipset and a digital input on the graphics card. 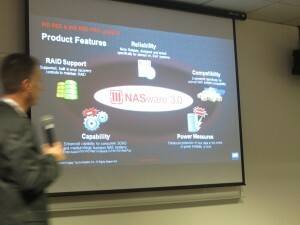 But recent implementations used a cost-effective digital-audio processor as part of the graphics infrastructure which simply repackages the digital audio stream from the host computer to a form that can be handled by the display or audio device connected via the HDMI or DisplayPort connection. During the initial setup of an HDMI or DisplayPort connection, it will be about determining what audio codecs, bit-depths and sampling frequencies the connected monitor, TV, home-theatre receiver or other audio-equipped device can handle. This also applies to computers and display setups that use the USB-C port as a “DisplayPort alt” connection like some of the laptops that have come my way for product review. But if you are using a USB-C expansion module that has audio connections, you may find that this device may use a USB-based sound chipset to serve those connections. Typically this chipset will use the USB Audio Device class drivers that are part of the operating system rather than the “display audio” drivers. If you connect your computer to your display via an HDMI audio device like a home-theatre receiver, soundbar or HDMI audio adaptor, you will find that the audio device will be identified as the sound-output device for the “display audio” device. In this case, you would see another audio device listed in your computer’s audio device list with a name that references your computer’s graphics chipset like Intel Display Audio or AMD HDMI Audio. The only audio-endpoint device that these drivers refer to are whatever audio device is connected to your computer’s HDMI or DisplayPort connection. Where you connect a computer to a speaker-equipped display or audio device that uses HDMI / DisplayPort alongside a traditional audio input connection like RCA or 3.5mm jack, the “display audio” driver would be used while you use the HDMI or DisplayPort connections. This also applies to the device connection panels you may find in your hotel room and you connect your laptop to the HDMI input on these panels. In this case, you have to use the “display audio” driver when you select the “virtual channel” or source associated with the HDMI input. What do I do about the existence of these “display audio” drivers? If you are trying to rationalise the driver software that exists on your computer, don’t remove the “display audio” or “HDMI audio” drivers associated with your computer’s graphics infrastructure. This is because if you connect a TV, monitor with speakers or home-theatre audio device to your computer via the HDMI or DisplayPort connections and you remove the “display audio” driver, the sound won’t play through devices connected via those connections. Instead, keep these “display audio” drivers up-to-date as part of updating your computer’s graphics-infrastructure software. Here, it will preserve best compatibility for the communications, games and multimedia software and Websites you run on your computer if you are using audio-capable devices connected via HDMI or DisplayPort along with this audio-capable hardware hanging off these ports. Also remember that if you are using an audio-capable display device connected via the HDMI or DisplayPort connections, you need to use the “diisplay audio” driver to hear your computer’s or application’s sound through that device. This may require you to have it as a “default sound playback device” for software that doesn’t support audio-device switching like Spotify or Web browsers. Computer systems that implement multiple graphics chipsets may also run multiple “display audio” drivers for each chipset. Here, the audio to be sent via the HDMI or DisplayPort output would be processed by the “display audio” chipset for the currently-used chipset. Some setups may require you to manually select the “display audio” chipset that you are using when you are directing the sound via your audio-equipped display device. This may especially apply to the use of external graphics modules. But on the other hand, a multiple-graphics-chipset computer may implement a virtual “display audio” or “HDMI audio” driver that automatically steers sound output to the HDMI or DisplayPort device via the currently-used graphics chipset without you needing to intervene. This kind of driver will be relevant with computers that implement NVIDIA Optimus or similar logic to automatically select the appropriate chipset depending on whether you are after high graphics performance or longer battery runtime. 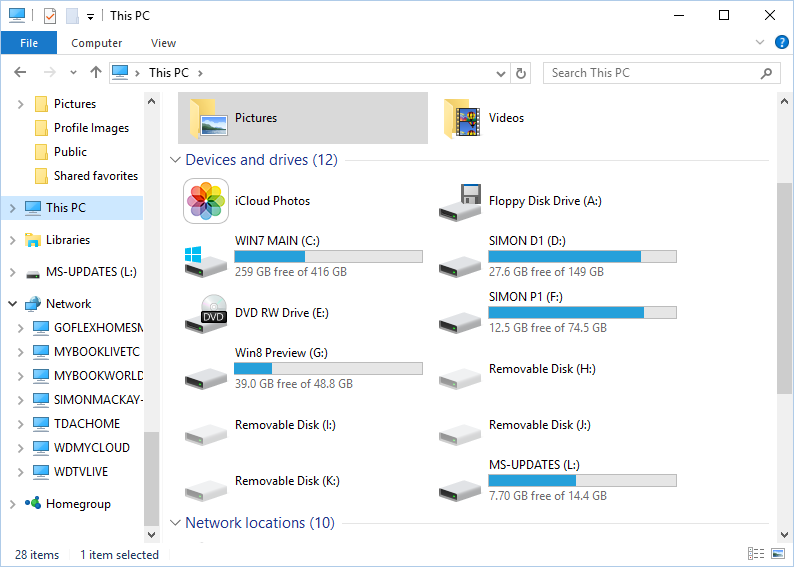 When I installed the Windows 10 April Update (Build 1803) on my computer, I had found the improved sound-management ability that this operating system update offers can make better use of this arrangement. 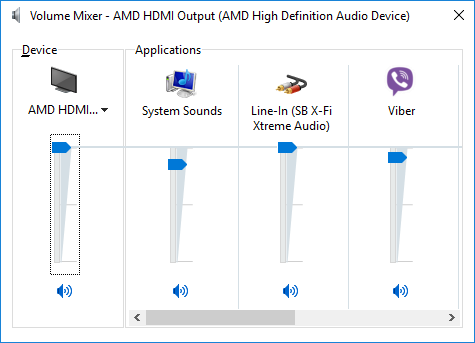 I chose to create a sound setup to steer multimedia to better sound outputs while keeping the audio prompts that Windows makes during errors towards a lower-quality output and documented how this is done. Here, the “display audio” driver will earn its keep as a way to allow the speakers in your smart TV, home-theatre setup or audio-equipped monitor connected to your computer’s HDMI or DisplayPort output to be used only by the software that you want. There are two situations that this will encompass. One is to have a laptop connected to the large TV or home-theatre setup for some Netflix binge-watching or full-on game-playing but you rather have Windows sound its notification sounds through the laptop’s own small speakers. The other is where you use a monitor with not-so-great speakers as your primary display but want music or other multimedia to come out through a better sound system connected to your computer. It also includes desktop computers used in an AV playout role with a projector and PA system conveying the audio-video content to the audience but using a monitor with not-so-great speakers as the operator’s display. The first situation involving a laptop would have the standard audio driver serving the integrated speakers set up as a “default” sound device while the Web browser, game or multimedia software uses the display-audio driver as the output device. The second situation using a monitor with not-so-great speakers would have the display-audio driver as the default driver while the Web browser or multimedia software handling the AV content to be played to the audience uses the audio driver associated with the better sound system. Simply, the “display audio” or “HDMI audio” driver works with your computer’s graphics infrastructure as a separate audio driver to present sound from your computer to an audio-capable monitor or A/V device connected via its DisplayPort or HDMI connections. Some of you may just use GMail simply as another Webmail account but you can have client-side access to it from certain email clients like Windows Mail, Outlook or your Android email client. 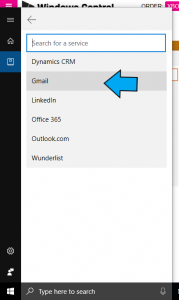 Here, if you are using Windows Mail for example, you may find that you could have Cortana work your account from their simply by adding it to the list of accounts your Windows Mail installation works with. But you may also just use the Web-based user interface for your GMail account and simply use it also as a contacts and calendar storage for your Android phone, especially if you do upgrade your phone frequently. Here, you can create a direct link between Cortana and your GMail account so you can summon her for information from that account. This can be of importance if you buy the Harman-Kardon Invoke smart speaker which is powered by Microsoft’s Cortana voice-driven personal assistant. To do this, open Cortana on your Windows 10 computer and click on the Notebook icon. 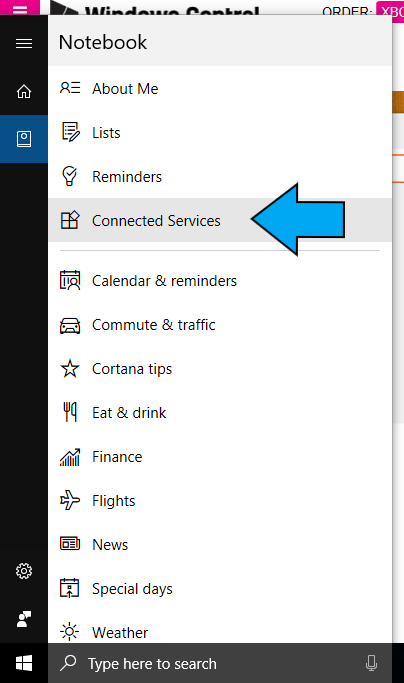 Then click on Connected Services in the menu that pops up. 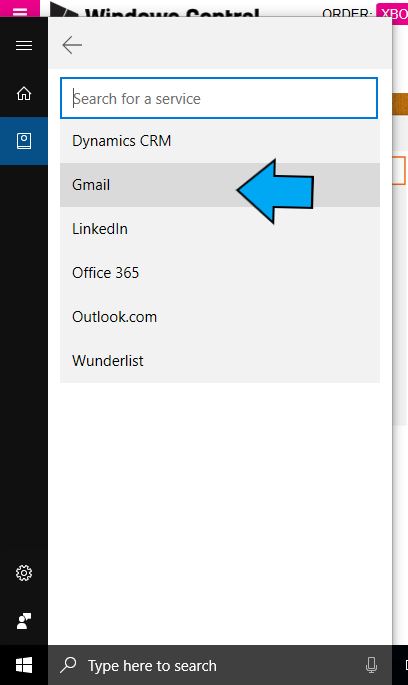 Select “Add a service”, then select “GMail”. Here, you will be asked for your Google username and password that you operate your GMail account with. Enter these credentials and Google will then ask you whether you want to allow Cortana access to your account. Once you assent to this, your GMail details are available to Cortana. This will become more of a trend as an increasing number of social networks, Webmail services and the like provide the necessary “hooks” to allow the various voice-driven personal assistants to work with their services. A situation that can affect many Web users is to have a “favourites” or “bookmarks” list with out-of-date links in it. This can be brought about by a Website moving to a new domain or its link directory being reorganised. The latter situation can be brought about due to implementation of a new content-management system or substantial renovations to the site layout. Most Web browsers have the ability for you to edit a Web address in the Favourites or Bookmarks list, typically through you right-clicking on a link, selecting an “Edit” option, and manually editing the Web address. 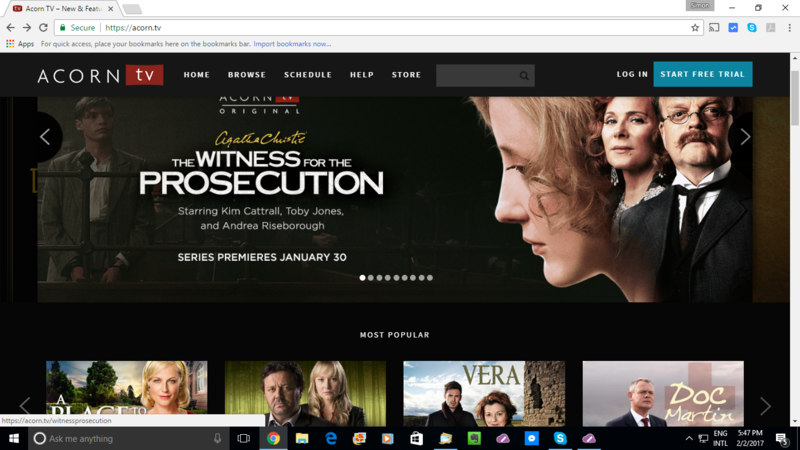 But the Microsoft Edge Web browser that is part of Windows 10 didn’t have this kind of in-place editing functionality. 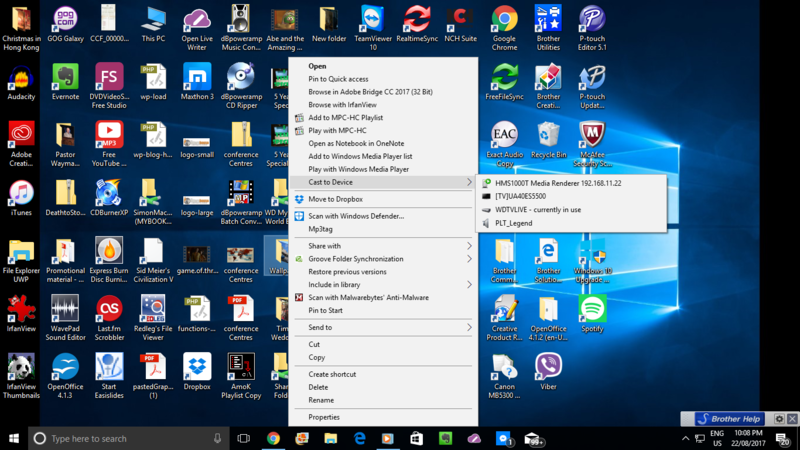 It was in a vain attempt to achieve a reduced-clutter user experience for viewing Web pages on your Windows 10 computer. This would have caused you to navigate to the resource’s new location, add it as a Favourite then delete the old reference from the Favourites list. 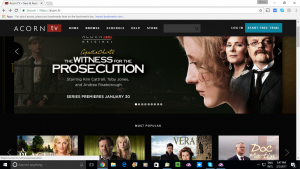 Microsoft has added in-place link editing to their Edge browser that is delivered with the Windows 10 Fall Creators Update onwards. Now what you can do is to right-click on the resource’s link in your Favourites list, then select “Edit URL” in the context menu to make the Weblink for the resource editable. If you are using a touch-only arrangement like a 2-in-1 convertible laptop in a “tablet”, “presentation viewer” or “tent” position, you need to dwell your finger or stylus on the Web resource’s link until a square or circle appears, then remove your finger to expose this context menu. There are some stylus implementations that may have a button that you use to enable the context menu. 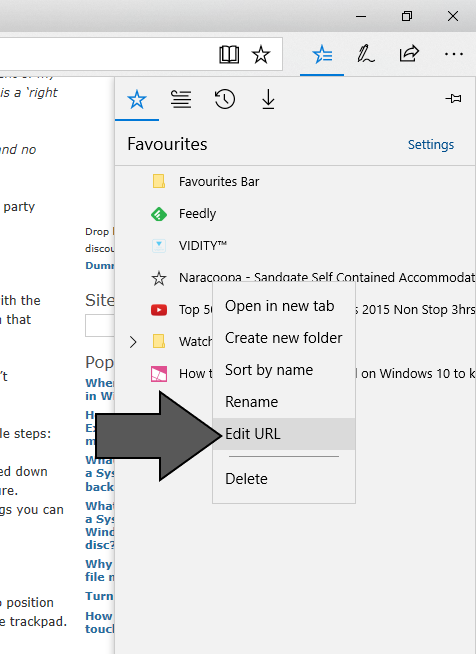 But now you can revise that Web link in Microsoft Edge’s Favourites list without having to add the new link then delete the old link. Photos not the right way up on your TV? A problem that can surface with some photos that you view using your Smart TV, set-top device or similar equipment is that they don’t appear the right way up. It happens more so with those pictures that come in from an email whether as attachments or downloadable links, or from a cloud-storage service. Similarly it also happens if you transfer the pictures from your device to your computer using the operating-system’s file manager i.e. Windows / File Explorer or MacOS Finder by using the file-copy procedure. This latter process is something most of us do when we want to make digital pictures that we took at someone’s location available on their computer. The main problem is that today’s cameras and mobile devices record the orientation of the photo in the file that represents the image as part of machine-readable EXIF metadata. Most of the file managers recognise this metadata and use it for creating the thumbnail that is seen for each file. Similarly, when you upload photos to an image-sharing or social-media site, you will find that these pictures will be shown the right way up thanks to this metadata. It is also true of image management software which even creates copies of the imported files that are the “right way up” as part of the image-import process. But a lot of hardware media players like smart TVs, set-top devices and electronic picture frames don’t recognise this EXIF picture-orientation flag and show the picture with the incorrect orientation. It can be exacerbated with DLNA media-streaming setups where the DLNA media server doesn’t use this flag to rotate the picture to the correct orientation when it is being served to the client device. The same problem also extends to some photo-viewer and presentation software that doesn’t understand the EXIF photo-orientation tag properly. Another situation that always surfaces with photo orientation is if you are photographing something on a table, floor or similar horizontal surface. Here, the camera or smartphone doesn’t properly register the orientation due to the orientation sensor being driven by gravity. In this situation you would still have to manually rotate the image even if you were importing it with software that understood this EXIF orientation metadata. How can you work around these problem when you want to show images that are drawn in from email or copied over from that digital camera? One way would be to open each portrait image using a photo editor or bitmap image editor that understands the EXIF photo-orientation tag like Windows Paint or Adobe Photoshop, then save the image as a JPEG file using the software’s Save As command. 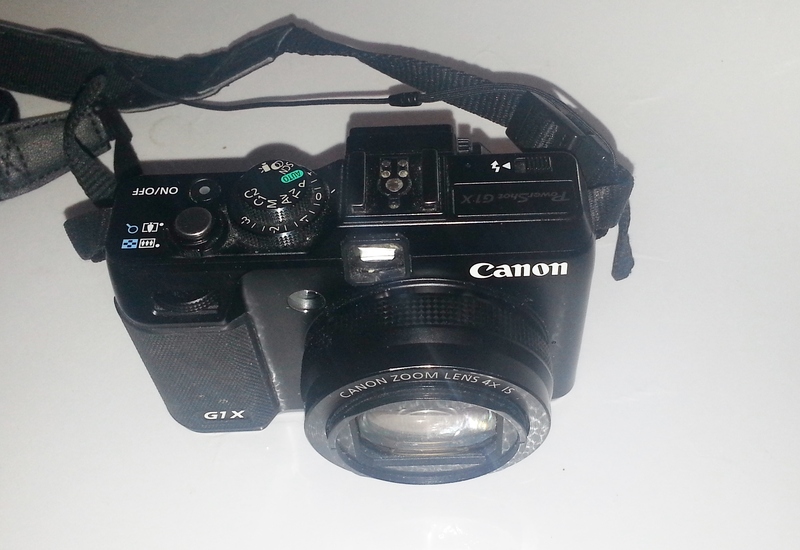 This will typically rotate the image the right way up and strip off confusing EXIF tags. It would appeal to situations where you are preparing a folder of photos to be shown, perhaps on a USB stick or using “Cast To Device / Play To Device” on your Windows computer and a DLNA-capable video device. 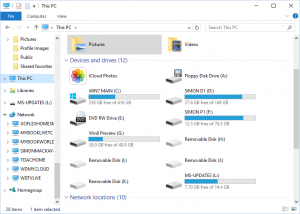 For Windows users, especially those who regularly copy photos to their computer using Windows Explorer / File Explorer, there is a free program that can batch-rotate photos in a folder correctly. The program is called JPEG Autorotate and is freely available from its author’s site. 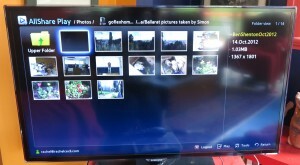 Once installed, it appears as a secondary-menu (right-click) option to allow you to rotate a single image or all the photos in a folder including the subfolders without quality loss. 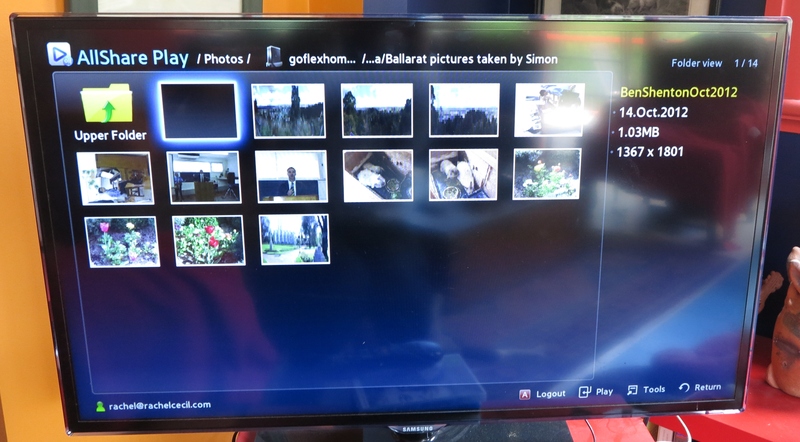 If you are using a computer as the primary storage or “staging post” for your digital image collection, the best path is to use the photo import functionality that is part of the image management software installed on it. Typically this will be Windows Photos, Windows Photo Gallery or Photos for MacOS (formerly iPhoto) that will be with your operating system. As well, make sure that the “rotate photos on import” option is selected in your software’s import settings. This information will help you with making sure that digital pictures appear the right way up no matter the device you are using. You have bought that new video or data projector for your small business or community organisation and are excited to have it as the “go-to” device to show large images on that wall but you need to make sure it lasts a long time. This is easily achievable if you look after it properly. This also applies to those of you who purchase a video projector for that home-theatre setup that you invest time and money in to. With projectors that aren’t based on solid-state “lamp-free” LED/laser-based lighting technology, the lamp that shows the image on the wall or screen also generates a significant amount of heat while it is on. Preventing a build-up of heat in the projector avoids damage to the machine’s lamp and other electronics installed in the unit. I have written out this information especially for situations where your projector is likely to be used by many different people such as a small business with a high staff turnover rate or a community organisation that has many different volunteers coming through. It is also available as a download-to-print PDF reference sheet that you can keep with your projector’s documentation or operating procedures for your AV setup. Make sure you set up the projector on a sturdy surface before you turn it on. This is especially important for transportable setups where you set up the projector before each showing and pack it away when you are finished with it. The table or desk that the projector is to sit on must be stable and in good order. As well, if you use something to raise the front and/or back of the projector to get the picture right, make sure that the setup that you use is sturdy. In the case of an integrated installation, you must use a good-quality mount kit and make sure that the projector is properly anchored to the mounting surface which should be installed properly. 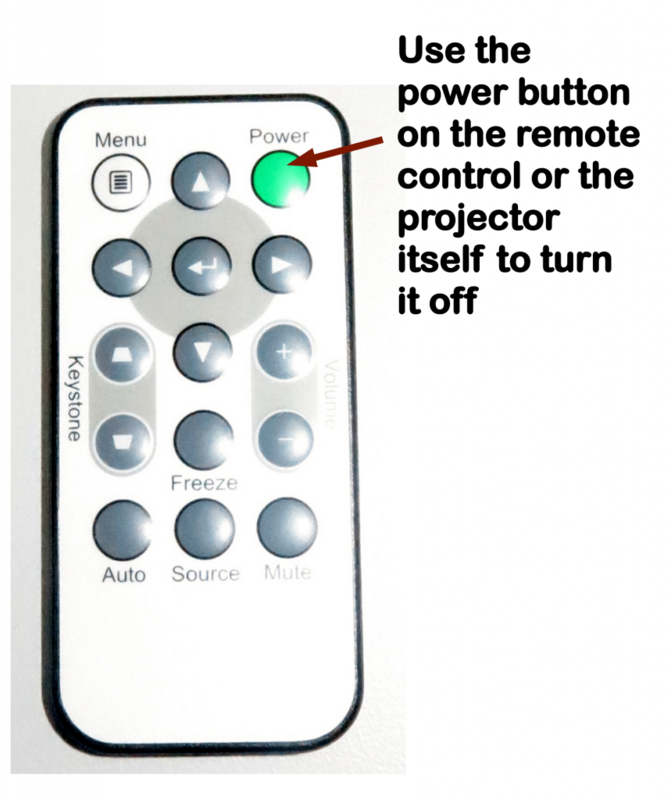 Use the standby switch on the projector’s control panel or its remote control to shut down the unit. At this point, the projector’s fan will run for some time to remove the built up heat from inside the unit while the lamp and electronics is switched off. This will be indicated with a different light that flashes or glows during this process. 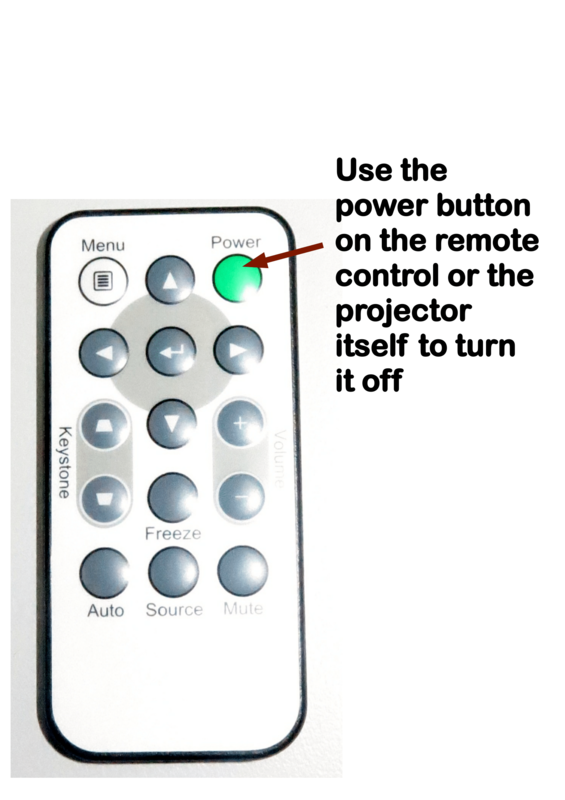 You are ready to disconnect the projector from the AC power when its fan stops and only the “standby” light glows or no lights glow on the projector that indicate operation. 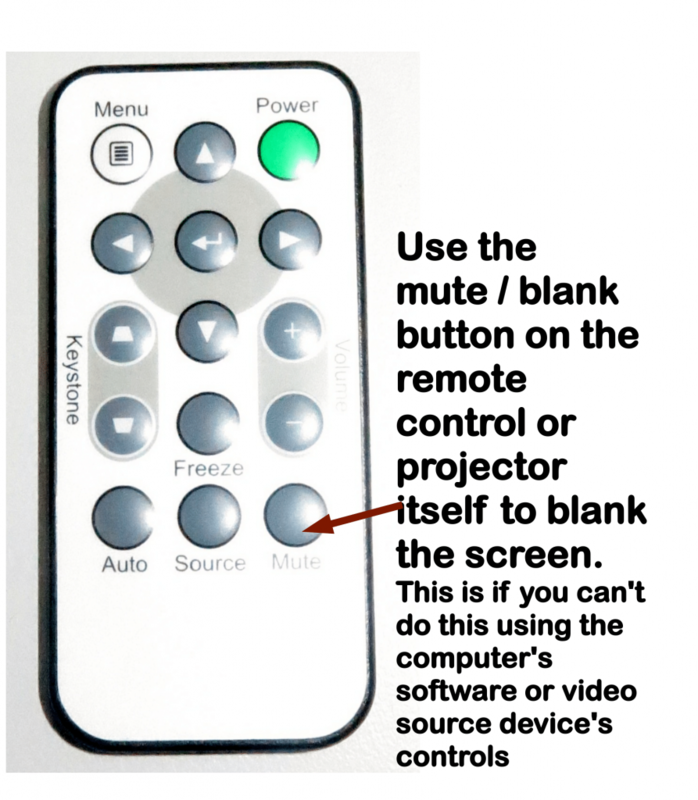 If you need to blank the screen during your show, such as while you are preparing other material to be shown, use the Mute or Blank button on the projector’s control panel or remote control or use the similar “blank-display” function on your display computer’s software or source device. If your projector uses filters that are easily replaceable, clean them on a regular basis. Also cleaning the projector’s ventilation grilles on a regular basis can also help towards maintaining proper cooling for that machine especially if it is used or stored in a dusty area. This can be done with your vacuum cleaner’s nozzle. Be aware of how your projector’s fan sounds while you are using the unit or shutting it down. The fan should be making no more than a quiet whirring or whooshing sound. If you hear excessive noise like a grinding, buzzing or squealing sound from the projector’s fan, it is a telltale sign that the fan’s bearings are on the way out and it could cease to do its job as well as distracting your audience. This leads to unreliable operation and excessive heat buildup. When you hear the excessive noise from the projector’s fan, have the projector taken to a repair workshop to have the fan replaced. Once you know how to look after your projector by avoiding unnecessary heat buildup, you can be sure it will serve you reliably for a long time. Most of us encounter times in our work and personal computing lives where we don’t really like Windows to “pop up” too many notifications while we are concentrating. Situations where this is more so include running a presentation, watching video material, engaging in a videocall or playing games where we really crave the minimum of distractions. There are multiple approaches to reducing distractions caused by Windows when it pops up those notifications. These depend on the screen setup you are running with. Most of you who are using that laptop or convertible 2-in-1 will be using this machine’s screen to view your long-form video or show that presentation to two or three people at the “second-office” café. Or you are using a traditional desktop computer like that “gaming rig” and don’t want Windows to distract you from that game you are playing. Here, you can enable the “Quiet Hours” function to prevent Windows 8 or 10 from popping up notifications when you don’t want them. 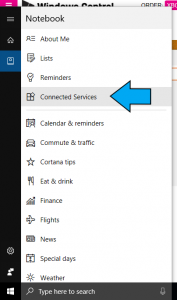 This can be enabled using a “button” in the Windows 10 Action Center or by right-clicking on the Windows 10 Action Center bubble at the right-hand corner of the screen then selecting “Turn on Quiet Hours”. This will mute all notifications coming in so you aren’t disturbed. When you have finished, you then disable “Quiet Hours” by repeating the above process. If you right-click on the Action Center bubble, the option that will show up will be “Turn Off Quiet Hours”. 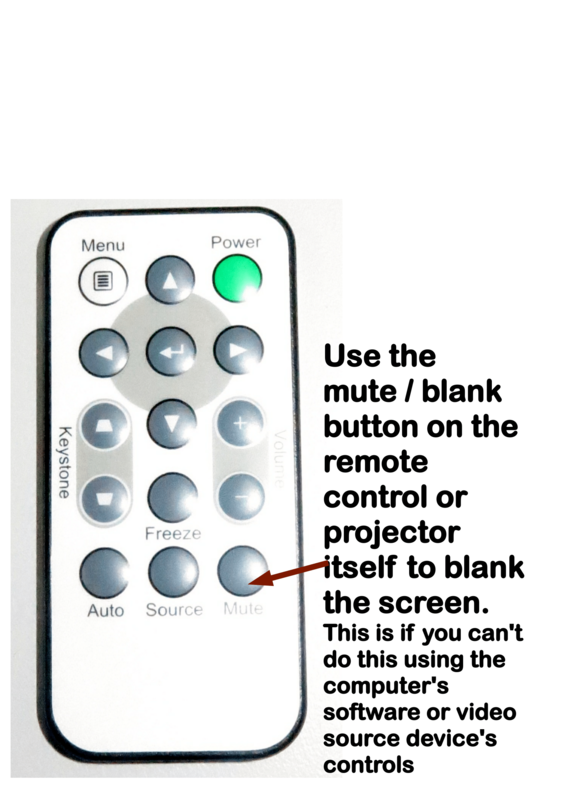 Some of you who have a laptop may connect your computer to the projector or large-screen TV and set it up to “duplicate” the display. This is often seen as a simplified approach to putting things up on the large screen especially if both displays have the same resolution and aspect ratio. 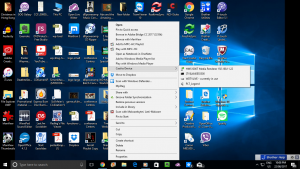 As well, this scenario may please those of us who are using Windows Media Player, Windows Photo Viewer, the Windows Store apps or similar software that doesn’t address displays separately, or are simply working with the Web. Windows 10 has a dedicated setup for this scenario where if you are duplicating the display, you don’t see any of the notifications appearing on both screens. This is a separately-selectable option in the Notifications And Actions settings screen as “Hide Notifications When I’m Duplicatiing My Screen”. There are those of you who have your computer connected to an external display in the “extend” mode. This may be because you are using presentation software that can separately address the external displays or are using the extended multiple-screen desktop. In this scenario, you would be having your notifications appear on your setup’s primary screen such as your laptop screen. 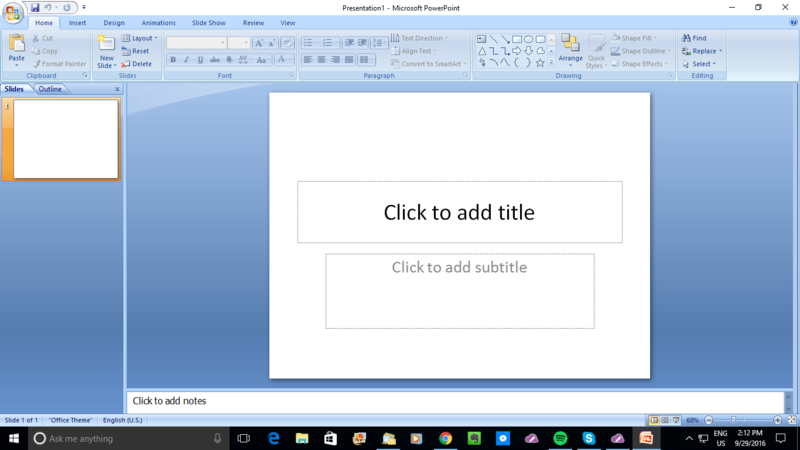 This is although, in a presentation setup, you would be having the presentation appear on the large screen. But you may want to be sure that you are not disturbed during the presentation or video content. Here, you can follow the instructions for enabling “Quiet Hours” as described in the “One Screen” context. On the other hand, you may not mind the visual notifications on your screen such as when you are watching a video or engaging in a videocall. This may be because you want to make sure you don’t miss that message for example. But you may want to play things a bit more discreetly and not have chimes or bells associated with incoming messages or error notifications disturb you. This is more so when you have the sound coming through a sound system or a large-screen TV’s speakers, and these sounds at the default volume level can be increasingly annoying to hear. This situation shows up very strong where the software you are using doesn’t allow you to determine which sound-playback device it should play through and you have to use the Windows “default sound device” typically shared by the system for its notification purposes. This situation applies mainly with Web-based situations, UWP / Modern / Metro apps that you get from the Windows Store or some online-service clients like Spotify. There is the ability to turn off audible chimes for apps that put up notifications but let them put up the visual notifications. Here, you may have to use the Notifications settings screen and work through each app and turn off the “Play a sound when a notification arrives” option on each app. Then you would have to do this rigmarole again when you want the audio prompts back. 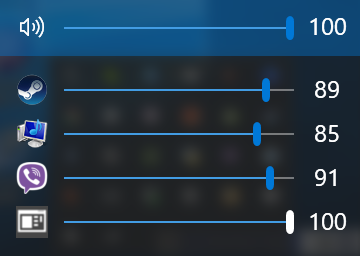 Here, you can work around this problem by using the Windows Volume Mixer to reduce the System Sounds volume output so that those beeps and chimes don’t come through very loud. You can even slide that volume right down so that those sounds can’t come through at all. 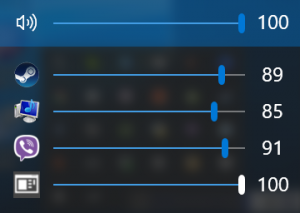 If you are using Windows Store apps like some of the Windows 10 clients for the various online video services, you could use “Ear Trumpet” (Free download from Windows Store) which is an advanced volume mixer that works with these apps as well as Desktop (classic) apps as well as integrating with the Windows 10 look and feel. Those of you who run Windows 10 April 2018 Update (build 1803) will have the integrated Volume Mixer function able to manage the sound from both the legacy Win32 apps and the UWP Windows Store apps in the same interface. This also extends to the ability to direct which sound device a program uses for its sound output so you don’t hear the notification chimes coming through your TV’s speakers, home theatre or PA system. 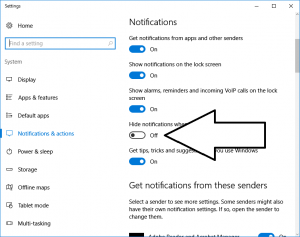 Microsoft could support a “notifications profiles” setup in Windows where you can turn off the notifications abilities for particular apps and save these setups as one or more profiles. Here, it could be useful to allow users to create situation-specific profiles such as one to have when watching video content, running a business presentation or going to bed. It could be implemented also with notifications being assigned “priority” levels so as to allow users not to have “hints-and-tips” or similar unimportant notifications come through at “do-not-disturb” times yet have important notifications come through. For email, messaging and similar software, user could assign priority levels for their contacts so that they don’t miss messages from the contacts that matter like the boss. The sound-management software in Windows could allow you to create situation-specific sound-level settings like what happened with the Symbian-based Nokia phones. This was where you could create sound-level scenarios for particular situations by varying different sound outputs like ringtone, notification tones and multimedia sounds (music or video playback). This also appeals to other ideals like being able to relegate sound classes like system notifications to particular output devices independent of other sound classes like multimedia and communications. 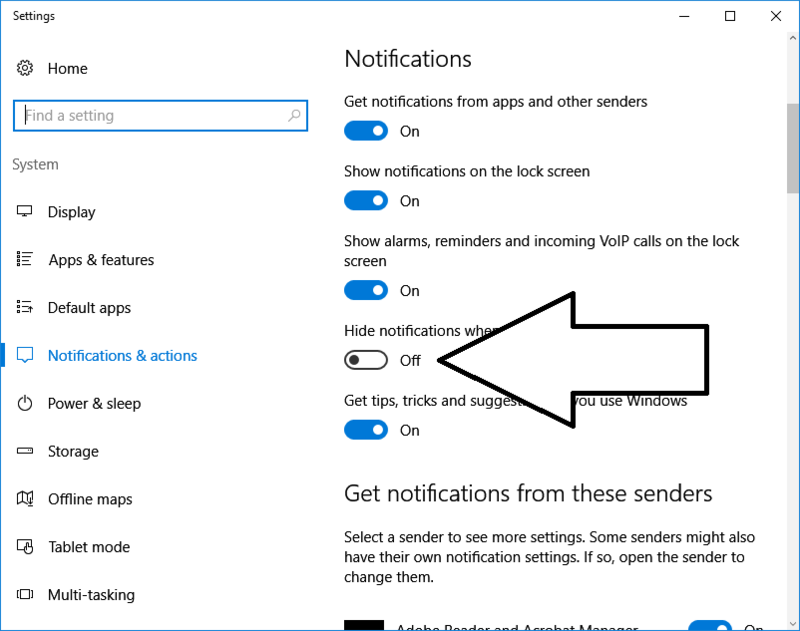 Once you know how to manage the notifications that pop up in Windows 10’s Notification bar, you can be able to make sure you aren’t distracted by this noise when you want to run that important presentation or watch that favourite Netflix. Similarly, adjusting the sound output of your apps, especially those that are only about notifying, can allow you to achieve that quiet environment while you enjoy music, watch videos or give presentations. I have updated this article to highlight the improvements that Windows 10 April 2018 Update (Build 1803) offers in relation to sound-level and device management. 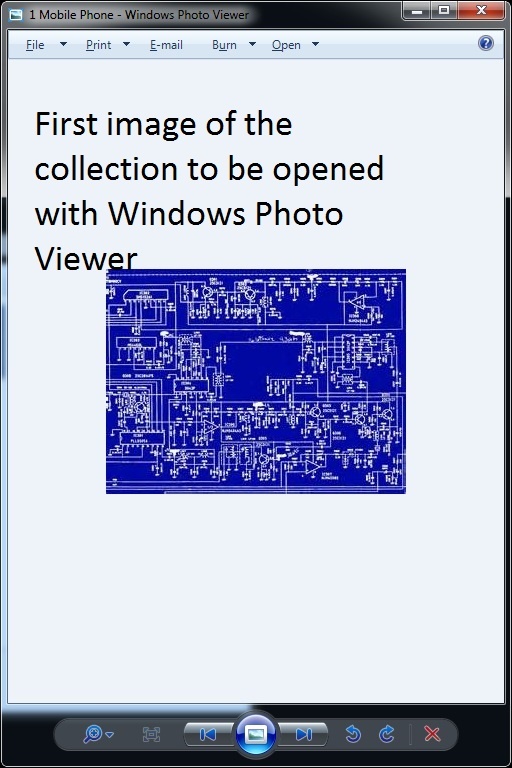 Should I use Windows Photo Viewer or my presentation program to show those photos? 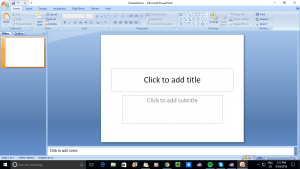 Previously, I wrote an article about how to use Windows Photo Viewer to show a collection of digital images on the large screen like your projector. Usage classes I was targeting this at included churches and other houses of worship who were showing digital images from the mission field, businesses with a lot of new products to show, people going through a large collection of newly-taken images and the like. But you think about whether the dedicated presentation or playout program like PowerPoint, EasiSlides or Screen Monkey does the job better in this situation compared to something like Windows Photo Viewer. 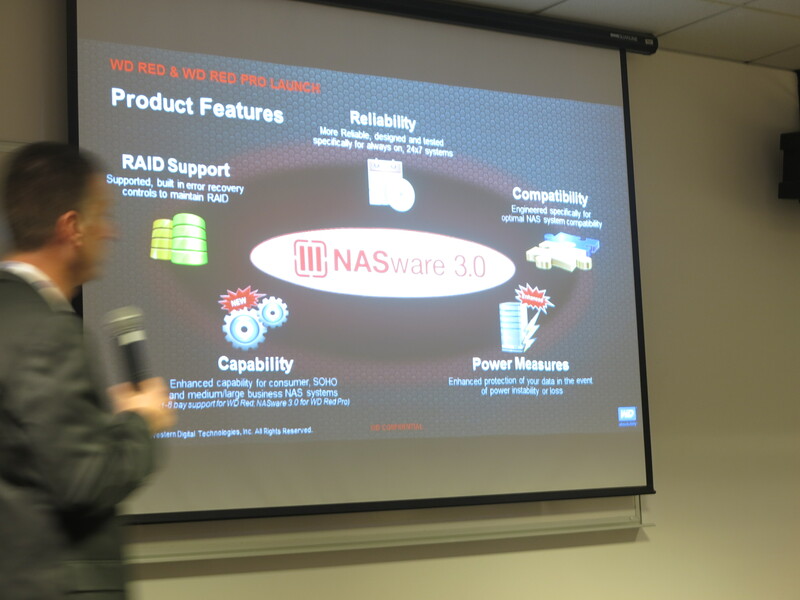 The problem with these dedicated presentation or playout programs is that there is more rigmarole involved in putting an image in to the presentation and this can open up room for mistakes. This may not be an issue if you are only needing to deal with an image count of between five and 10 JPEG images being necessary for your event. You also may be factoring in using the presentation or playout program to handle the rest of your program’s visual content like PowerPoint presentation material, textual material or song lyrics. 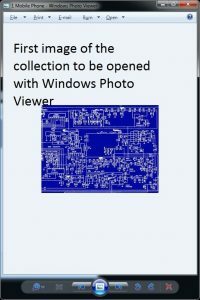 But Windows Photo Viewer would come in handy where you are dealing with a collection of many digital images that you took with the digital camera but want to show on the screen. A good rule of thumb to work with may be at least 11, perhaps 24 to 36 images which was the equivalent of the number of slides that could fit in the slide boxes that mounted 35mm slides came in after the film was processed. Here, you would be wanting to show those images in a manner equivalent to the old-time slide show, showing them in a sequence that matches the flow of your presentation. Here, different programs can answer different needs and this is more true when you are dealing with presentation or AV playout needs in your small business or community organisation. If you work with audio content, whether to “rip” CDs to the hard disk or home network, or record speech or music content for audio projects, you may have been dealing with various compressed filetypes like MP3 or AAC as your main recording format. But most of these filetypes work on a lossy principle where data is effectively lost and when the file is played back, the software reconstitutes that file to make it something to listen to. Now an open-source file format has been released to allow for lossless compression of audio content. This recently-issued format, known as FLAC or Free Lossless Audio Codec, has answered many audio technicians’ prayers because the sound is encoded in a manner as to prevent the loss of audio content through recording or playback. This is in a similar manner to how a ZIP or RAR “file-of-files” is prepared in order to conserve disk space or bandwidth. You still have the advantage of a compressed file not taking up too much storage space or transmission bandwidth. Being an open-source free codec, it means that audio applications can implement this codec without the need to pay royalties to particular organisations and there are very few other encumbrances on that codec. One of the best analogies that I came across for using FLAC in the audio-archival context is that it is like if you are a wine collector and you purchase a premium wine-cellar to keep your collection. Here, the wine-cellar is keeping the wine collection at an ideal temperature and humidity for long-term storage. But when you want to serve that drop at the dinner party, you have the bottle sitting on the sideboard and resting until it is at the ideal serving temperature. Previously this required a user to download and install a FLAC codec on their computer to be able to record, play or edit these files. Then the Linux and Android operating systems had native support for this filetype built in to tie operating system and various audio applications provided application-level support for working with these files. Similarly, high-end sound cards and USB DACs furnished this codec as part of their software. Now Windows 10 has provided native support for FLAC files including ripping CDs to these files. If you use a computer or a file-based digital-audio recorder (including some digital mixers) to record audio content, make sure that you record as a PCM form like a WAV or AIFF file; or as a FLAC file. You may find that some equipment like a lot of the digital mixers with integrated USB recording abilities may only work with USB hard disks or solid-state drives that use high-speed data transfer if you have them record to WAV or similar files. 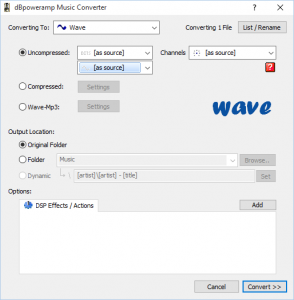 Then you use an audio editor like Audacity, NCH WavePad, or Rogue Amoeba’s Fission; or an audio converter program like NCH Switch, dbPowerAmp or Foobar2000 to convert the WAV or AIFF file in to a FLAC file. You may find that some video converters may offer audio-to-audio conversion for the FLAC file. You could do this to your audio file once you have that file in “master-ready” condition – you have edited it and applied any audio transformations to that file to get it sounding right and it is ready to distribute. On the other hand, you could also create a “raw” FLAC file from the WAV or AIFF you have recorded before you perform any of the editing and audio transformation work. In this situation, you then use this “raw” file as your reference file if you needed to approach the editing in another way. 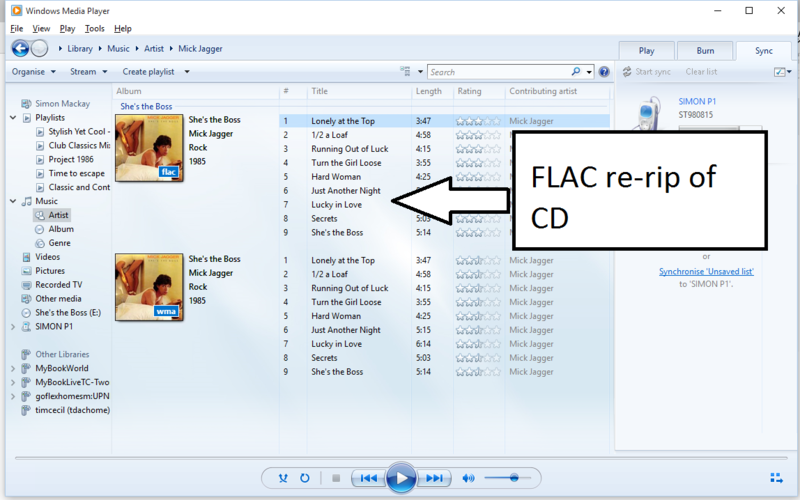 Even if you are salvaging audio content from legacy media like LPs, open-reel tapes or cassettes, you can still use FLAC as your audio filetype for these efforts. Here, you can use theses FLAC files simply as the digital archive for this media. As you create or edit a FLAC file, you can add metadata about the content you recorded to that file and, like with MP3 files, that data which describes the song title, performer, genre, album and other attributes stays with that file. This will work properly with smartphones or media players that play these files; along with DLNA media servers that distribute these files across small networks – these servers can index them and have them found according to the metadata that describes the content. When you distribute your content, you can then use the FLAC file as your source file – you could simply copy that file if you are targeting newer FLAC-compatible “open-frame” equipment like Android or Windows 10 smartphones or Windows computers, or convert to MP3, AAC or Apple Lossless for Apple and other equipment that doesn’t support FLAC. Similarly, most current-issue DLNA-capable NAS units can work from FLAC files especially if you have FLAC-capable playback equipment on the network. The FLAC file is also useful as a “master” audio file if you are creating an Audio CD because it is a compressed audio file that has has the same audio qualities as a PCM WAV or AIFF file. Similarly, you may have to convert the FLAC to a WAV or AIFF if you are importing it in to a video editing program for use as part of your video project’s soundtrack. 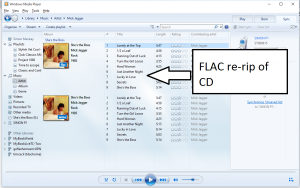 Once you use FLAC as your main file type for audio recording and editing or simply convert legacy audio files to FLAC, you are then ending up with a digital-audio file that can be used as an archival or distribution-master form.